Whenever you press the atomizer on your perfume bottle, you look forward to new feelings and positive emotions, you expect a boost of energy. You may wish to enhance your image or simply make yourself feel comfortable. You might also want to make a lasting impression on someone. M.INT’s greatest ambition is to make your wishes come true. We follow our slogan "That which triggers emotions". 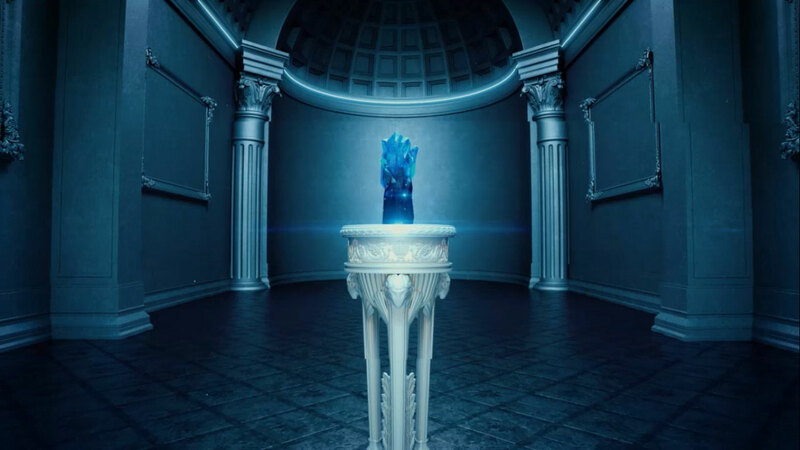 Our brand philosophy is to create charismatic fragrances. Our perfumes appeal to the wearer and those around him or her and leave pleasant memories that you would love to return to. M.INT creates upscale fragrances that stimulate imagination and trigger emotions each time the atomizer is pressed. The history of the M.INT luxury brand began long before its launch. In the mid 1990s Serge Mints, who has always believed a career in the perfume industry to be his vocation, started to work with luxury perfume brands. It was in the early 2000s at a fashion venue in Paris that he met an up-and-coming fashion designer, Helen. He discovered that she had great love for the art of perfumery and had always dreamt of creating something unique and original. They became partners both in personal life and in business. While continuing their collaboration with famous perfume brands, Helen and Serge realised they could create a true masterpiece, something that conveys their own view of style and harmony in the form of a perfume bottle. In 2012 the couple registered their brand, M.int, in Italy with a distinctive slogan - "That which triggers emotions". 2016 saw the launch of the first M.int's collection of 20 men’s and women’s fragrances. Each M.int fragrance has its inimitable signature style. This was the result of meticulous work and many experiments carried out in close collaboration with the world’s best perfumers. The winning combination of cutting-edge technologies, unique know-how and skilful choice of the best ingredients available on the market allowed the creators to tune each chord of the fragrant bouquets to make each of them “sound” like a true orchestra awakening wonderful sensations. Helen and Serge see their mission in pursuing their own vision of an ideal fragrance. It is not their wish to follow popular trends, nor to target the widest audience possible. On the contrary, they aim at being trendsetters. They are convinced that there are many people who share their vision and feel the same way they do. These are the guidelines for the future development of the brand. 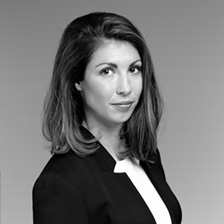 Elise Benat was born and raised in the Mediterranean, South of France. She still remembers with admiration the aromas of maquis, myrtle and salt. 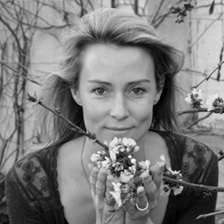 As a teenager, Elise Benat traveled to exotic corners of the planet and this was to later impact on her future work and lead to the creation of the most delicate and surprising aromas. When she attended her first smell training course, while studying chemistry, it was a real eye-opener for her. From that moment, the determined young lady firmly decided on her future. Her dream came true when she joined the Firmenich team. Elise Benat likes reading. She also finds inspiration in art. She enjoys the emotions she get when she succeeds in translating words into aromas. Thierry Bessard often talks about the power of fate, or rather about one fateful moment when his life was defined. After his medical college, Thierry wanted to engage in research. He came across an article about French perfumery school ISIPCA. He immediately wanted to make such a career – science and creativity tempted him in equal measures. Ironically, or perhaps accidentally, his grandmother later told him that his grandfather was also a perfumer. Thierry inherited a collection of recipes from his grandfather. When it comes to his career, Thierry is first and foremost a humble man. He believes that his career is "more of a hobby than a job". Whenever he is asked what he is doing, he often says he is a chemist to avoid too much attention. 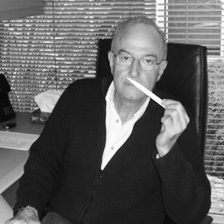 Jacques Flori began his career at the Robertet Group in 1973 first as a perfumer assistant. He quickly rose in the ranks to become a Junior perfumer and today he is a Senior perfumer. His activity has generally played the key role in his career. He works on projects for the most famous brands in perfume industry around the world – in countries such as Indonesia and USA. A great lover of nature, Jacques drew inspiration from natural raw materials produced by the Robertet Group. Master perfumer Harry Fremont is a fulfilled person and a high achiever, whose childhood memories in the South of France continue to influence all that he does in life. Harry came to New York in 1990 with his wife and three young daughters. This immediately marked a new chapter for him and for Firmenich because that year, the company opened its Creative Center in Manhattan. 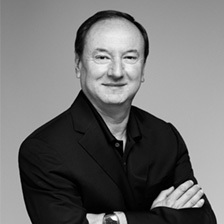 The perfumer created his first delicate fragrance in New York, and he played a key role in strengthening the company's reputation in this important sector. Harry is also the only perfumer to receive the International Perfumer-Creator Award from the French Society of Perfumers for two consecutive years – a remarkable achievement that Harry reinforces year after year. Each step on Marie’s path has led her in the right direction. She gained independence and blossomed from the very beginning. She still finds satisfaction in her career till date. 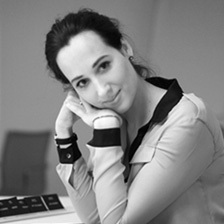 Marie believes that a true perfumer personifies an artisan and an artist. "A good perfume acts like madeleine de Proust. It brings uncontrollable and powerful emotions. This is the essence of itself". Marie is constantly in search of this magic. Her creative process is divided into parts. She has a ritual – she closes the door, collects her notepads and thinks. She is left alone with her notes. Each notepad has a different purpose – the largest notepads are for composing scents with ingredients. In other notepads, natural tones are explored, and in the last notepads, she records her general vision of scents. The interrelationship between materials and color fascinates her. She renders her creations as pictures on which shades create contrasts. 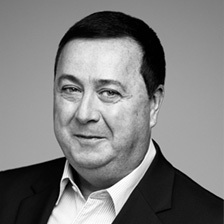 Christian Rostain was born in1953 in Fréjus. He became a perfumer by chance. He began his career in 1974 as a perfumer's apprentice at Robertet Group in Grassé. He underwent internal training for six years under the direction of Louis Truc, the senior perfumer. 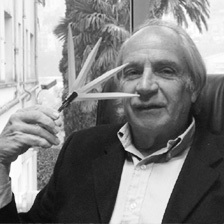 His initiation was continued with perfumer Henri Romano. In 1980, he became a junior perfumer under the leadership of Georges Pellegrin. Through his work, he then participated in the development of his company in South America, Central America and USA. 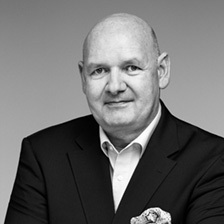 Christian Rostain has been in the perfumery industry for 30 years. Among his creations are Carrera by Carrera, Cible de Chlorance, Harry Potter and toilet water for Etro – a fashion brand in Milan. 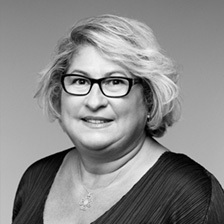 Rostain also creates perfumes for such groups as L′Orèal, Henkel and Clarins. 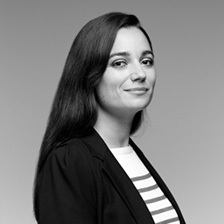 Nathalie Lorson works for others and with others. For this woman, creation depends on exchange of ideas, expression and sharing of emotions. She seeks and attempts to interact, build and compare – until everything clicks. This prolific perfumer with a large amount of created fragrances is so remote and humble that she would prefer to send someone to go accept an award in her place. Her award is to go on the street, passing by someone who uses one of her perfumes, discovering the fragrance that she has created, making it part of her life – part of her intimate world... Her creations can be compared with pieces of a puzzle: each piece connects to another, each piece contributes its own quota, making Nathalie Lorson the kind of personality she is – a woman with lots of qualities. Philippine is passionate about her work. She feels boring whenever there isn’t any challenge to deal with. She trained as a legal adviser when her internship at the perfume house changed the course of her life. She has never been able to clearly explain what led to this change, but it was definitely a defining moment. Her parents worked in the perfume industry and Philippine was always interested in their creations. So the turning point wasn’t accidental, but, of course, unexpected. Philippine also has close ties with the fashion world. Her grandfather, Jaques Rouet, assisted in the opening of the House of Dior. Philippine was his first grandchild and he took her along with him to everywhere. He transferred to her his tendency to superstition, but also his experience, perseverance, energetic character and a solid sense of self-confidence. He taught Philippine that "will power and hard work will allow anyone to achieve all his dreams." As a young girl, Karine Vinchon Spehner got her first feelings of flavors at the Jeannette bakery, owned by her grandfather. She enjoyed the smell of hot cakes. She later became interested in the influence of perfume on individuals. 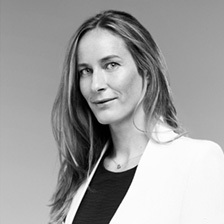 Karine was a student at ISIPCA (International Institute of perfume, cosmetics and aromatic substances) from 2002 to 2004, while she was collaborating with the Robertet Group in Grassé, where she used their best natural ingredients with pleasure. She started her career under master perfumer Michel Almairac. Karine likes to work with wood and amber notes and with the characteristic smell of natural ingredients such as Pachouli and Vetiver. Usually, she her creativity is driven by emotions. 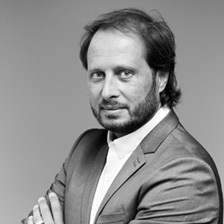 Serge de Oliveira began his career as a perfumer assistant at IFF Group. Very impressed by natural materials, he joined Robertet Group in 2012 as well as Richard Ibanez who supported all his initiatives. In 2014, Serge became a Junior perfumer through his work and creativity. Constantly impressed by the world of fragrances, I am in perpetual search for aroma, novelty and originality. Everything inspires me. I took a chance to get a job that inspires me. Every time I’m impressed by the novelty of the primary materials. Each of my creations reflects a part of my personality and gives me a great opportunity to express myself easily. The spirit of Grasse runs in Fabrice’s blood. His father was a perfumer; his grandmother a beloved jasmine picker and his grandfather a supplier of perfumery naturals. Fabrice remains strongly connected to the region. For him, memories of Grasse are woven with images of olive and cypress trees, wide open spaces, the sun, chirping cicadas, smiling friends and a steady pace of life, as well as time spent with the older generations: “the people of Grasse are secretive, they keep their knowledge preciously hidden, but when they do divulge it, they hand it over entirely.” Fabrice Pellegrin was trained by working closely with experienced professionals. He paid close attention to the various stages that raw materials must go through on the journey from harvest to perfume. 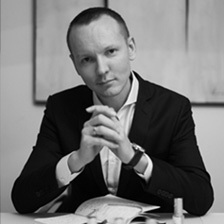 Alongside his role as a creative perfumer, Fabrice is also involved in the development of natural products at Firmenich. Over the course of 15 years, he has been dividing his time between Paris and the research laboratories in Grasse. A native of Grasse, Daniel Visentin started his career in 1976 at Robertet. This date will mark his encounter with the word of perfumery. Trained in-house, he first worked for the creation of raw materials and odor control before becoming a perfumer in 2001. His activity will lead him throughout his career working on projects through Robertet Group`s various subsidiaries in some countries, such as China and India, countries that he is particularly fond of. Daniel likes to work with oriental notes, sandalwood, vanilla. The oud is also one of his favorite raw materials. Helen has always been closely related to the world of fashion. Even as a child she was lucky to touch this craft, she enthusiastically adopted the experience of her father, a talented clothing designer. After graduating from school, she enrolled at the University to be a footwear and accessories designer and after it she established her own company for production of professional uniforms. By making a family and creative alliance with Serge Mints, Helen for a long time devoted herself to perfume industry and was deeply inspired by this art. Passion for learning and improvement impelled Helen to continue her studies in the University of Marangoni in Milan and also get a second speciality of fashion designer. The desire to create and make resulted in establishment of M.INT brand and her own collection of perfumes. Inactivity is the most unloved thing for Helen, and therefore, by working hard and a lot, Helen is committed to ensure development of M.INT brand in the fashion industry in the future. 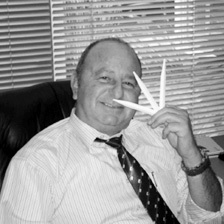 Throughout his professional life, Serge was dedicated to perfumery. 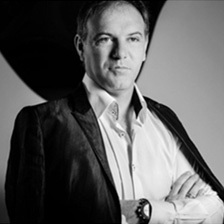 He has founded a company, which sold perfumes and devoted a lot of time to its development. Over these years, he gained vast experience both in marketing and in creative product evaluation. Fragrances and its formulas have become a life credo to Serge and helped him to be an expert in fragrances. Over time, a desire was set to create something own, unique and unrepeatable. 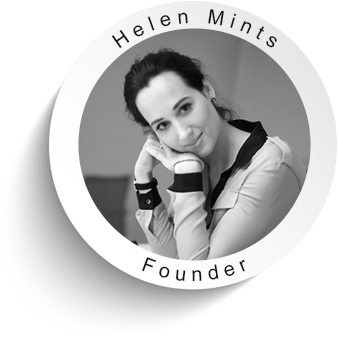 By creating a family union, Serge also gained a business partner Helen Mints. Having common interests and similar desires, Serge and Helen have established M.INT brand and released a luxury collection of fragrances, reflecting their understanding of the perfume aesthetics. Serge is a creator, creativity is his main passion. He always strives to bring any of his creations to perfection, giving it all his soul and skills. Born in France, his Spanish origins influence him enormously and his French and Spanish cultures supports his open-mindedness as well as a strong tolerance… undeniable asset, confirms Juan Carlos today with conviction. At 17 years, Juan Carlos obtains a diploma in sculpture on wood, then works in the Bresle company, in the valley dedicated to the glass industry. 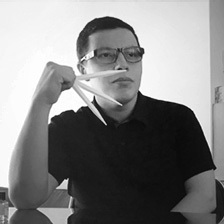 In addition to working with glass for the perfumery industry, Juan-Carlos discovers the world of plastic hereby designing prototypes of models for the aeronautics and automobile industries. In 1990, he has the opportunity of joining Ateliers Dinand well renowned for their very creative spirit. This opportunity will be for him a true trampoline. 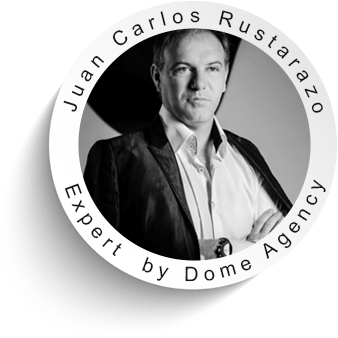 In 1999, he decides to create his own design agency - Dome - in which he will be able to apply his way of working, his approach and to find time to draw, to work the matters… With a flexible team, Juan Carlos Rustarazo expresses his will of freedom and the pleasure of creating by having a global solution for his projects and achievements. His work philosophy is summarized in a few words: to put creation at the heart of the thinking process, to work on concepts, creation and development so as to intervene at all the stages of the design. His work rests on the observation of the tendencies, of consumer behaviour in order to integrate them into the concepts to be developed. “Creation is not an isolated act; it always fits into a logic which calls upon the sensitivity of the one who creates, with his/her interpretation of the world and his/her memory”. We are very proud of our team built of inspired and dedicated professionals committed to achieving goals. They contribute to the mission not only with their professional experience, but also with their personal creative touch and a part of their souls. Each person excels in his or her task and M.int cherishes the individuality of every team member. Everyone at M.int feels important and indispensable for the team's success. We’re happy that our creations make the world brighter and more beautiful! The history of the M.INT luxury brand began long before its launch. 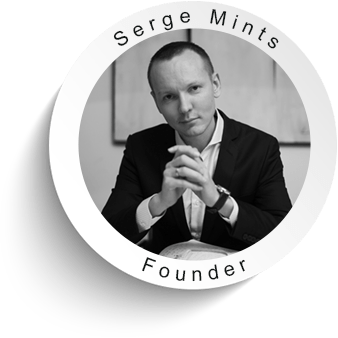 In the mid 1990s Serge Mints, who has always believed a career in the perfume industry to be his vocation, started to work with luxury perfume brands. It was in the early 2000s at a fashion venue in Paris that he met an up-and-coming fashion designer, Helen. Internet Explorer 8 is not supported. Please upgrade your web browser now.